Perfectly packaged! 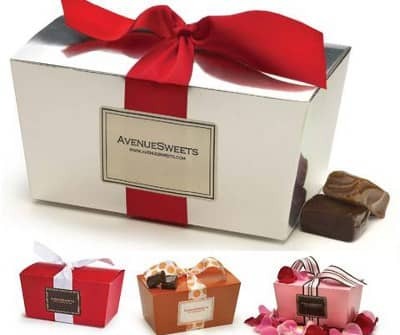 Personalize your gift by choosing the gift box and then choosing the variety of gourmet caramels to fill that box. Perfectly packaged! Choose from our delicious varieties of Gourmet Caramels. Created in small batches, these confections are handcrafted with Grade A butter and fresh whole cream. They might be the finest caramels you'll ever taste. There are no additives or preservatives ensuring fresh, rich flavors that are delectable. Our three dairy free, vegan caramel varieties use coconut milk and coconut oil in place of cream and butter for a rich, delicious alternative to dairy. You can choose your Gift Box color and then choose the variety of caramels to fill that Gift Box. You will receive 1/2 pound of each flavor chosen.